Coming from me, this might sound a bit ironic. I am an addicted lifelong learner and I am always in the lookout for another Certificate. Just before I have completed a training, I already have my eyes on my next one. But I have a reason for doing it. I love learning new things and deepening my knowledge in the areas I find interesting. Self-development, leadership, entrepreneurship, women empowerment and conscious parenting are my main topics. I do it for myself. I don’t do it for the glory of it, I don’t do it so I can post and brag about it. Yes, I am proud of my achievements and that was hard to begin with. I used to dismiss them and think that everyone could do it. Not anymore. I put the effort, the late nights and the financial investment in order to get my Certificates. But even though I have acquired a few of them already, I don’t attribute my success to them. So what do you have to have in order to succeed? You have to have the right character first and foremost. You have to have the right mindset. You have to have the willingness, the grit and the motivation to succeed. You have to make things happen. You have to create your opportunities. Being passive and wondering why employers don’t come knocking on your door for that shiny CV of yours is not going to take you anywhere. If you were an employer, would you rather recruit a positive, passionate and willing to learn person with little to no experience? Or would you rather hire an experienced person, who believes s/he knows everything, has a negative energy and finds flaws in everything? Well, the first person means that it will cost you more financially, as you will have to train him/her. The second person will be able to start working straight away, so less cost for you, but you will have to deal with all the negativity, which will give you anxiety. As my husband always says and I couldn’t agree more, you can train someone to do a task, but you cannot change his/her character. So my personal choice would be the first person. I have seen people with countless Degrees and Certificates living a life of mediocracy. I have also seen people with little education hold positions and gain salaries that University graduates dream of. Certificates will not guarantee you success. The training you go through before earning them provides you with knowledge and skills; it gives you practical tools on its respective field. Certificates give you prestige and recognition. They also give you access to more people of influence. Yes, Certificates do help and they might accelerate your success. But YOU will make success happen. Your character, your proactiveness, your determination. So, what action do you need to take in order to succeed? Kate is a Personal Leadership Coach and an advocate of women empowerment. Her mission is to help Asian women in the West overcome gender and cultural stereotypes so they can live their life on their own terms. Kate’s biracial background has given her firsthand experience of the challenges women from Asian backgrounds face. Born and raised in Greece, to a Greek father and a Filipino mother, she can very successfully navigate between the two cultures without losing her own identity. She has several Degrees and Certificates under her belt and she is a passionate lifelong learner. She first studied Hospitality Management and worked in several luxurious establishments around the world, with her highlight being the 7-star hotel in Dubai, Burj Al Arab. 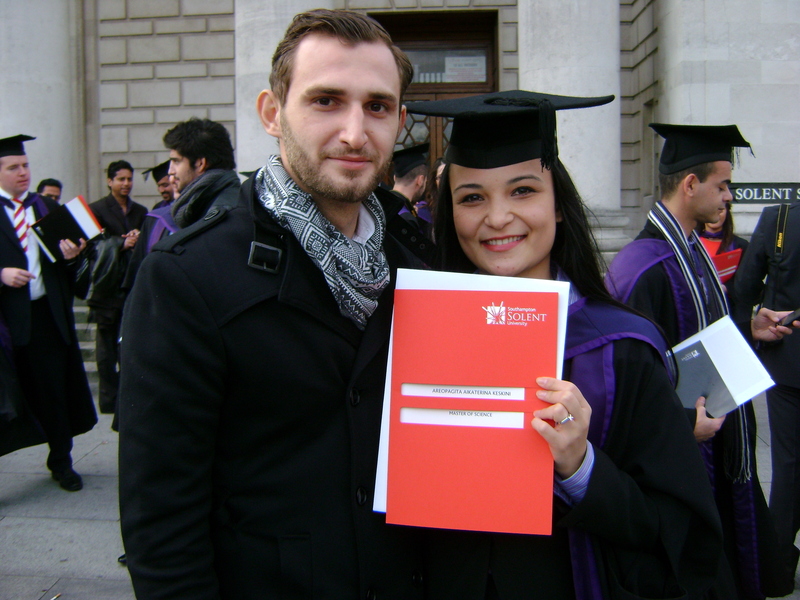 As her next step, Kate decided to move to England and do her Master’s degree in Shipping and Commercial Law. She continued her working experience as a Shipbroker in London for 6 years. Right after having her second daughter, Kate got Certified as an ICF Executive and Professional Life Coach. She enhanced her skills with an Ivy League Certificate in Women in Leadership from Cornell University. Kate is also a trained DISC personality assessment expert, which enables her to have a holistic approach with her Clients. Kate has now put all her experience, knowledge and skills into her Coaching Business, where she guides women through their transformation from feeling constantly constrained, to feeling empowered and confident to take ownership of their life.